Let WEW create the right atmosphere at your celebration. The right choice of music, JBL sound equipment, the expert mobile DJ, and modern coloured effect lighting are all included to guarantee your enjoyment. Allow the company that hire to, WSFM 101.7, MIX 106.5, The EDGE 96.1, 2DAY 104.1, 2MMM 104.9, 2GB 873, and 2CH 1170 events to entertain you…. at a sensible price. For more about our Packages click on our Karaoke, Video and Jukebox page. 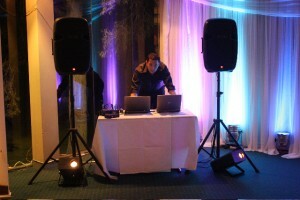 Alternatively you may want to DJ yourself with our mobile sound system equipment, or your own iPod or Laptop computer, using our speakers, wireless cordless radio microphone and lights. WEW supply everything you need to make it happen. And yes, WEW deliver and pack it up for you. A night of exclusively 50s, 60s, 70s, 80s, 90s, or todays theme can be achieved, or choose to mix all the decades into one show. If you have great people skills, Lots of microphone experience, a friendly outlook, honest, trustworthy and self motivated, then you may just be the person we are looking for. You must have far better skills than the average DJ.